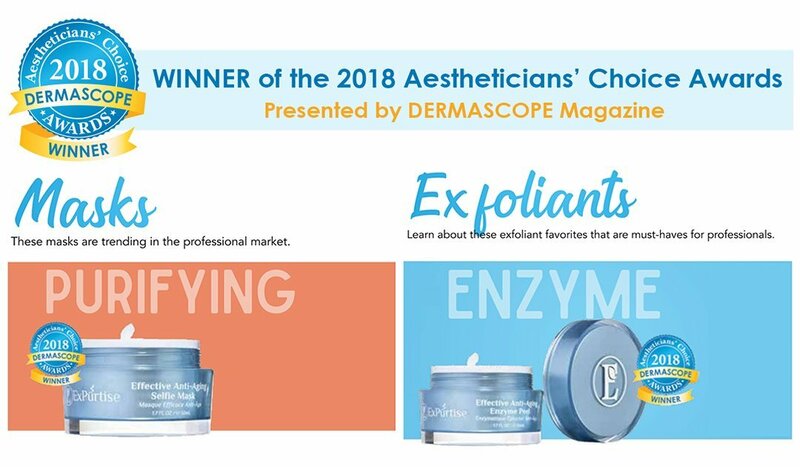 ExPürtise® is the winner of DERMASCOPE Magazine’s 2018 Aestheticians’ Choice Award in two categories: Favorite Purifying Mask and Favorite Enzyme Exfoliant. DERMASCOPE was the first professional skin care journal published in the United States. 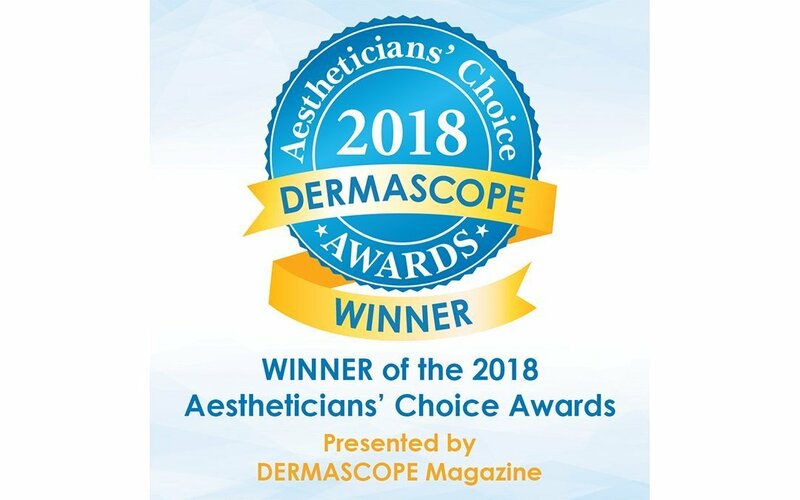 The ExPürtise® Effective Anti-Aging Selfie Mask is the winner of DERMASCOPE Magazine’s 2018 Aestheticians’ Choice Award for Favorite Purifying Mask. The ExPürtise® Effective Anti-Aging Enzyme Peel is the winner in the category of Favorite Enzyme Exfoliant. The ExPürtise® Selfie Mask instantly resurfaces skin for a selfie ready complexion. This revolutionary treatment gently exfoliates and detoxifies without over-drying using white kaolin clay. Skin is immediately transformed, restoring firmness and clarity while reducing visible signs of aging. The ExPürtise® Enzyme Peel contains a combination of five different enzymes, jojoba beads and buffered alpha hydroxy acids to rapidly accelerate skin cell replacement for a brighter and more even complexion. This zero down time treatment is safe for all skin types and will not cause intense redness or post peeling. All ExPürtise® formulations are free of controversial ingredients such as parabens, sodium lauryl sulfate, ethanolamines, nano particles, synthetic colors and fragrances. DERMASCOPE Magazine’s fourth annual Aestheticians’ Choice Awards (ACAs) are given to honor the best, aesthetician-approved products on the market. Winners and finalists are chosen from eleven main categories and subcategories. Skin care professionals nominate their favorite products, nominations are selected by the ACAs committee designating the top four semi-finalists for each category. Readers then cast the final vote determining winners and finalists on DERMACOPE.com. ExPürtise® products are available in prestige spas worldwide as well as online at expurtise.com. The mission of ExPürtise® is to deliver the world’s most results-focused products with the purest ingredients. ExPürtise® believes premium skincare shouldn’t sacrifice purity to achieve results. That’s why ExPürtise® products are free of irritants and harsh ingredients. Go Pure with ExPürtise® at expurtise.com.